The Patient Protection and Affordable Healthcare Act, more commonly referred to as the “healthcare bill” or Obamacare, has taken over a year to construct and has been a lightning rod for political debate because it effectively reshapes major facets of the country’s healthcare industry. Starting this year, 2013, if you have an adult child who cannot get health insurance from his or her employer and is to some degree dependent on you financially, your child can stay on your insurance policy until he or she is 26 years old. Currently, many insurance companies do not allow adult children to remain on their parents’ plan once they reach 19 or leave school. Your health insurance company will no longer be allowed to “drop” you (cancel your policy) if you get sick. In 2009, “rescission” was revealed to be a relatively common cost-cutting practice by several insurance companies. The practice proved to be common enough to spur several lawsuits; for example, in 2008 and 2009, California’s largest insurers were made to pay out more than $19 million in fines for dropping policyholders who fell ill. Starting in 2013, your child (or children) cannot be denied coverage simply because they have a pre-existing health condition. Health insurance companies will also be barred from denying adults applying for coverage if they have a pre-existing condition, but not until 2014. Prior to the new law, health insurance companies set a maximum limit on the monetary amount of benefits that a policyholder could receive. This meant that those who developed expensive or long-lasting medical conditions could run out of coverage. Starting this year, companies will be barred from instituting caps on coverage. If you currently have pre-existing conditions that have prevented you from being able to qualify for health insurance for at least six months you will have coverage options before 2014. You will be able to purchase insurance through a state-run “high-risk pool”, which will cap your personal out-of-pocket expenses for healthcare. You will not be required to pay more than $5,950 of your own money for medical expenses; families will not have to pay any more than $11,900. Under the new law starting in 2014, you will have to purchase health insurance or risk being fined. If your employer does not offer health insurance as a benefit or if you do not earn enough money to purchase a plan, you may get assistance from the government. The fines for not purchasing insurance will be levied according to a sliding scale based on income. Starting in 2014, the lowest fine would be $95 or 1% of a person’s income (whichever is greater) and then increase to a high of $695 or 2.5% of an individual’s taxable income by 2016. There will be a maximum cap on fines. Starting in 2014 (when you will be required by law to have health insurance), states will operate new insurance marketplaces – called “exchanges” – that will provide you with more options for buying an individual policy if you can’t get or afford insurance from your workplace and you earn too much income to qualify for Medicaid. In addition, millions of low- and middle-income families (earning up to $88,200 annually) will be able to qualify for financial assistance from the federal government to purchase insurance through their state exchange. Three years from now, flexible spending accounts (FSAs) will have lower contribution limits – meaning you won’t be able to have as much money deducted from your paycheck pre-tax and deposited into an FSA for medical expenses as is currently allowed. The new maximum amount allowed will be $2,500. In addition, fewer expenses will qualify for FSA spending. For example, you will no longer be able to use your FSA to help defray the cost of over-the-counter drugs. Starting in 2018, if your combined family income exceeds $250,000 you are going to be taking less money home each pay period. That’s because you will have more money deducted from your paycheck to go toward increased Medicare payroll taxes. In addition to higher payroll taxes, you will also have to pay 3.8% tax on any unearned income, which is currently tax-exempt. However, if you are a high-income individual or couple (making more than $85,000 individually or $170,000 jointly), your prescription drug subsidy will be reduced. In addition, if you are one of the more than 10 million people currently enrolled in a Medicare Advantage plan you may be facing higher premiums because your insurance company’s subsidy from the federal government is going to be dramatically reduced. You will most likely receive information in the mail from your health insurance company about how the recently signed law will affect your coverage. Read the correspondence carefully and do not hesitate to ask questions about your policy; there may be new, more affordable options for you down the road. There have already been recent challengers in court to various sections of the law and the entire law, so please pay particular attention to how these changes may affect you and the material received from your heath insurer. 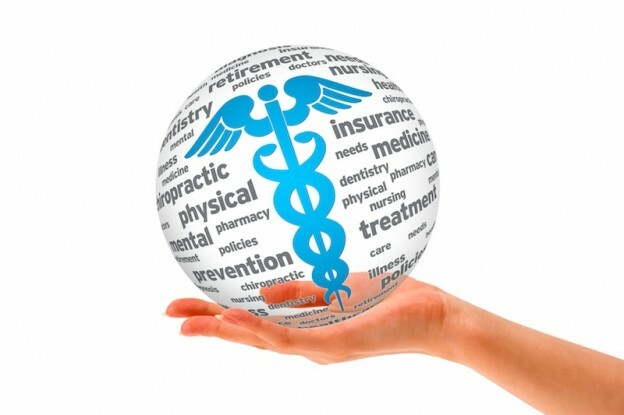 Should you have questions ask your health insurer or seek the advice of a professional. ExpertPages Profile | LinkedIn Profile | Firm Website Wayne Citron is an industry leader in life, health, disability and property and casualty insurance.